I guess it has been a long time since someone walked up to me and said that the mass was lively. The reverse seems more plausible. “Aaaargh, mass was boring … as usual.” This is because the important criteria for the assessment of a ‘good’ and ‘lively’ mass is whether it was entertaining, creative, or exciting. In other words, the mass must meet my expectations in order to qualify for a passing mark. Ironically, many have forgotten the true story of Christmas. We have forgotten that the only criterion is the one displayed by the shepherds who made their way to the side of the crib, or the group of wise men who traversed distant lands braving all forms of difficult terrain and weather conditions in order that they may present their gifts before the child born in Bethlehem. That criterion is simply this: we are here to worship God. Our initial reaction to any of these statements may often be to offer sympathy and our own agreement. Yes, mass is boring and seems even pointless when we don’t seem to get anything out of it. The argument might be raised that if people have fun, they will like going to Mass. If they don’t have fun, they won’t go. So we make a list of suggestions on how to remedy the situation – simply, make it lighter, shorter, less painful and uncomfortable, more fun, more exciting, more creative, and definitely more entertaining. We fail to recognise that these statements are actually quite revealing. They suggest that many people do not attend mass because they have come to worship God. In fact, many people attend mass because they are looking to be entertained. Today’s Solemnity of the Epiphany offers us a realignment of our orientation. 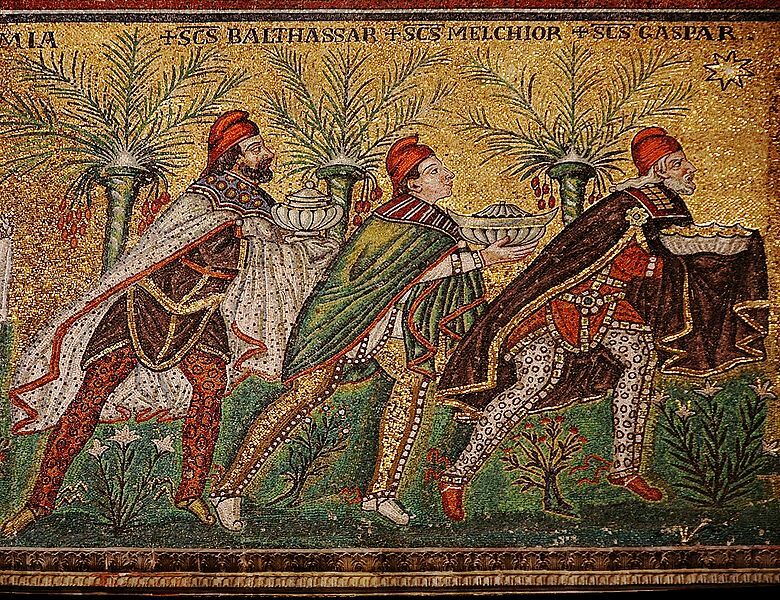 The magi, as did the shepherds on Christmas Day, offer us the supreme goal of our lives – it is to encounter Christ our Lord and offer him our worship and adoration. 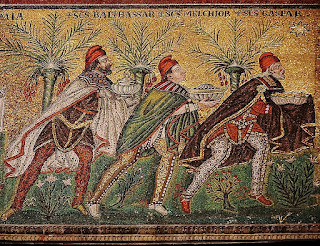 Unlike other astrologers who were busy studying constellations and stars that could guarantee good fortune and ward off bad luck, unlike King Herod who was so absorbed in his own self-importance, and unlike the Jewish priests and ruling elite who were concerned with self-preservation, the magi were able to transcend their own selfish goals and ambitions to discover their salvation in the Christ-child. In this sense, the Mass is a kind of epiphany, a manifestation of Christ in person, body and blood, soul and divinity, calling us to transcend our self-absorption. Epiphany is an invitation to restore the sense of the sacred, to return Christ to his rightful place as the real star of the celebration, and to give priority to worship in our encounter with Him. If God is absent from our celebration, then we are lost – without a star, we become the stars. The Mass, therefore, is a bridge between heaven and earth, a serious business which can never be taken lightly. The Mass was never meant to be a form of entertainment, any more than the sacrifice on Calvary was meant to be. The whole point of Holy Mass is not to create a human experience, but rather to encounter mystery. Our experiences at Mass must be conditioned by and predicated on these goals: we are here to discover Christ and worship Him. Sometimes, the young are cited as the justification for introducing innovation and ‘fun’ into the liturgy, in the form of livelier music, relaxing the rubrics and rules regarding decorum and dressing, and turning the priest into an entertainer. This is the argument many self-described pastoral types make: and see how it becomes a self-fulfilling prophecy. If, week after week, our young people are given the message that the Mass is supposed to be “fun”, entertaining, rocking, etc., then they will expect it always to be that way, and they will learn to judge it according to these malformed standards. Giving the kids a ‘good time’, is a tragic short-changing. The idea that a Mass must be entertaining and must hold the attention of children by means of gimmicks is a mistake. We will create a kind of spiritual blindness and deafness in the young. They will come to mistake their subjective experience for the voice of God. They will come to mass hoping to attend a ‘circus’ and certainly not dispose themselves to worship God. In the three gifts offered by the wise men to Christ, we are invited to restore Christ’s rightful place in our liturgy. The gift of gold symbolises our acknowledgment that he is king. The gold that you see on the altar is not a symbol of human opulence but the glory due to the King of Kings, worthy of our humble submission. The gift of frankincense symbolises our worship and adoration due to one who is not just a mega rock star or super-hero – he is God worthy of our praises. Finally, the gift of myrrh reminds us of the solemnity of our celebration which is a re-enactment of his sacrifice on the Cross. The cross is hardly entertaining because the cross demands that we deny ourselves of the need for amusement and stardom. Christ must suffer and die in order for the world to be saved. This is his destiny. We as his followers must also be prepared to follow his example and accept his fate. The way of the cross leads to heaven. Today, as we pay homage to the King of Kings, the Lord our God, and the Saviour who died on the cross for us, let us never forget that he is always the Star and focus of our celebration. He may have to suffer this injustice whenever we can’t tell the difference between what we sing in a bar, in our bathrooms, or what we hear at a concert with what we do in mass. A renewed sense of the sacred in Church would allay such fears and provide a sensible distinction between what we are doing in the Church and what we are doing in the pub downstairs.